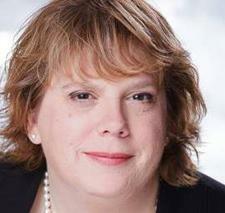 Tricia McClain is a lifelong resident of Ventura County. Having enjoyed the benefit of being raised by a stay-at-home mom, it is the choice she made when starting her own family. She has two wonderful children, one of which has already graduated from Ventura Charter School and a soon-to-be graduate. She has been an active volunteer in the community not only with her children’s school since preschool, but also in coaching youth soccer teams through AYSO. With her children’s high school graduation on the horizon she has returned to school to further her own education at Ventura College. She will be receiving an Associate Degree in Accounting in the spring of 2016. Having been actively involved at VCS since its founding, joining the Board in June of 2015 seemed the natural progression to continue her dedication to the educational philosophy which has been the foundation of her children’s excellent education. It is very important to her that parents have choices in the educational experiences of their children. She feels that the educational approach VCS offers, benefiting the whole child, is a wonderful addition to the educational choices available in Ventura. She is proud to serve on the Board to help ensure the sustainability of the school for years to come. Deanna Weik has made Ventura her family’s hometown since 2002. She is currently Human Resources Manager at the Human Services Agency/County of Ventura. 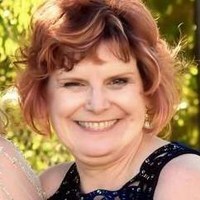 Deanna earned her Bachelor’s Degree in Design from UC Davis, and has an MBA with HR Management emphasis from the University of Phoenix. Her professional experience involved primarily health care administration and human resources at Community Memorial Health System, Cedars-Sinai, and former Buenaventura Medical Group. 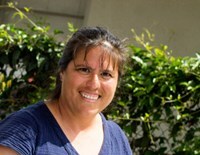 Deanna and her husband have two children who attended elementary, middle, and high school locally in Ventura; their sons are students at UCI and UCR. Deanna previously served in volunteer board positions at Poinsettia Elementary School and the Channel Islands Personnel Management Association-HR Chapter. Having been introduced to the mission and values of VCS, she fully supports the “whole child” approach to empower students and create a learning environment that engages teachers and students alike. With her optimism and grateful attitude, Deanna hopes to positively contribute to VCS Board decisions and looks forward to positively impacting school and student performance and leadership accountability. Cecilia’s family came to Ventura County in 1874. She loves our beautiful community and is passionate about educating our children. A non-practicing attorney, she owns her own small business as a College Applications Educator, conducting workshops and providing families with the tools they need to navigate college admissions. She and her husband have three children, two of whom are grown and she has been an active volunteer in area schools for almost 20 years. Cecilia is looking forward to working with and learning from the unique community, which is, Ventura Charter School. 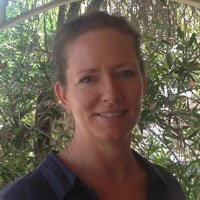 Liz Smiley made Ventura County her home in 2013 after moving here from the East Coast with her husband Eugene and son Max. 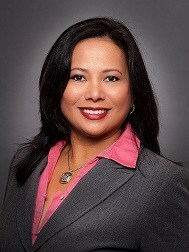 She has 27 years’ experience in personal and business performance management, training, and development. She is also an expert at creating events and motivating volunteers, especially for large projects. She is the Admissions Officer and Registrar at Influence Ecology, the leading business education in transactional competence. Delivered internationally, their business programs teach participants how to make business offers that satisfy their work, career, and financial aims. When introduced to the mission and values of VCS, she knew that it was a perfect fit for her son and a new way for her to contribute and positively impact the community that she now loves and calls home. Eva has been involved in education for over 20 years: first as a bilingual classroom teacher in Fresno, California, and then as a teacher educator at UCSB. It is in this most recent capacity that she has come to know and value Ventura Charter School and its hope for building good learning environments for children, their families, teachers, and the entire community. She recognizes that building such a place has taken much collaboration amongst the various stake holders and hopes to support this continued work as a member of the board. Adam Meyers has a passion for finance and taking care of people, having had successful careers as a College Unit Director with Northwestern Mutual and Private Banker with JP Morgan Chase Private Client. Adam focuses his work on individuals and families using the Financial Concierge Model in his own firm, Alkade Investment Company, LLC. He is the Go-To person in a clients’ financial life. A lifelong Californian, he lives in Ventura with his wife Heather, daughters Alanna, Karra and Devin, and their dog, Lucy. Even with a busy family and career, Adam has also found time to give back to the community. He has volunteered his time to foster children in Ventura County as a Court Appointed Special Advocate and separately for Ventura Charter School. Adam completed a bachelor’s Degree in business management and holds FINRA Series 6, 63, 66, 7 and is California Insurance Licensed. Tom Mc Nerney was born and raised in Ventura County. 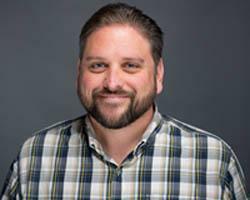 He has been involved in the technology field for 20 years and currently works at Ventura County Office of Education as an Application Specialist. 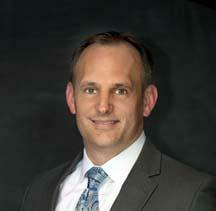 His professional experience is with working with school districts, government agencies, and non-profit organizations. He currently lives in the Ojai Valley with his wife Erin and sons Bill, Ben, and James. During his free-time you can find him at the park or beach with his family and fishing on the Ventura Pier with his boys. He is excited to serve our school community in the capacity of a board member.